The Seagate Exos 7E2 enterprise hard drives are specifically designed to address the needs of storing unstructured data cost-effectively. The traditional 512-native format with a 6 Gb/s SATA interface ensures easy integration into legacy storage servers and systems. storage applications. Built on field-proven 9th generation conventional magnetic recording (CMR) technology, the Exos 7E8 drive helps to catalyse the datasphere, enabling data centre architects and IT professionals to deliver trusted performance, rock solid reliability, ironclad security and low TCO for demanding 24x7 operations. 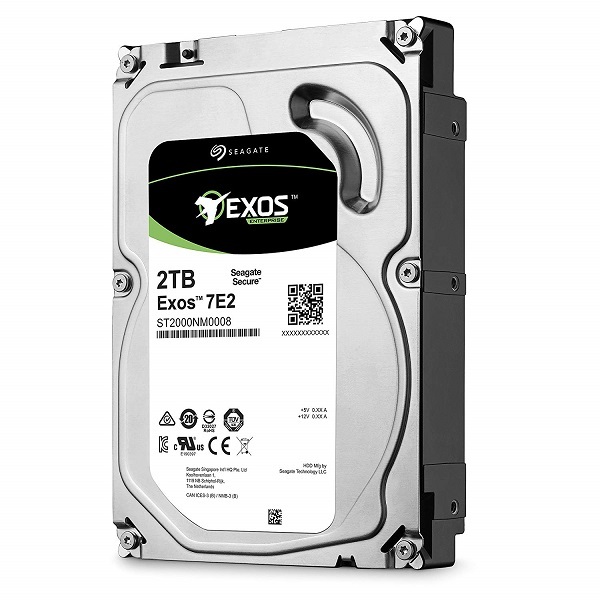 • The Exos 7E2 hard drives are proven, enterprise-class hard drives with enterprise-grade reliability backed by a 2 million hour MTBF rating. With state-of-the-art cache, on the fly error-correction algorithms and rotational vibration design, the Exos 7E2 helps ensure consistent performance in replicated and RAID multi-drive systems. • Meet your storage workload requirements with the most efficient and cost-effective SATA 6 Gb/s drive in a 3.5-inch data centre footprint. With user-definable innovative technology advancements like PowerChoice and Seagate RAID Rebuild, you can tailor your bulk storage requirements for even greater improvements in your TCO. • The Exos 7E2 series delivers firmware security features to help protect data where it lives — on the drive. 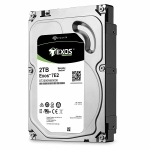 Exos 7E2 hard drives safeguard firmware with authentic Secure Downloads & Diagnostics.